The spine is a vital part of the body. It is literally referred to as the backbone of the body. Without it, structural integrity for the body is impossible. The spine also houses most of the nerves from different parts of the body to the brain. An injury to the spine would cause paralysis to the body and sometimes could be fatal. The most common causes for a spinal cord injury (SCI) are accidents. You could be involved in a car accident, sports injury, or a gunshot injury in the spine. 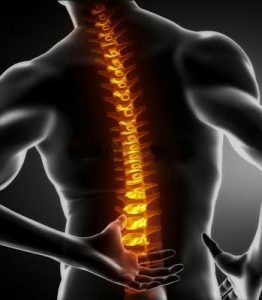 Damage to the spine would cause immobility issues and rarely do patients fully recover after going through physical therapy rehabilitation. SCI is complex and would cause further damage if not treated in time. It is not reversible. As such, there are different levels for treatment. Emergency treatment is critical. Urgent medical attention is required at the scene of the accident to minimize the effects of the neck and head trauma. The objective is to immobilize the spine to avoid further nerve damage. The next level of treatment is acute treatment. It involves taking the patient to the emergency room for doctors to focus on surgery, preventing shock,maintain stable breathing, immobilize the neck and avoid other possible complications. Physical therapists at Enchantment Physical Therapy understand that rehabilitation for SCI is complex and could take a long time. They also understand that rehabilitation goes hand in hand with psychology due to the trauma a patient could be experiencing. Like other physical therapists in Gallup, NM, physical therapy at Enchantment Physical Therapy patiently works with their patients through stretching and flexibility exercises. This will help the patient recover and improve mobility issues. As any physical therapist in Gallup, NM would suggest, therapy practitioners should be patient with the injured patient. This makes rehabilitation effective. Chronic / Acute Pain Management at Enchantment Physical Therapy in Gallup, NM. Copyright 2019, Enchantment Physical Therapy All rights reserved.